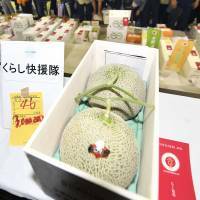 SAPPORO - A pair of melons produced in the Hokkaido city of Yubari on Thursday fetched a record ¥3 million ($27,240) in the first auction of the harvest season at a Sapporo wholesale market. 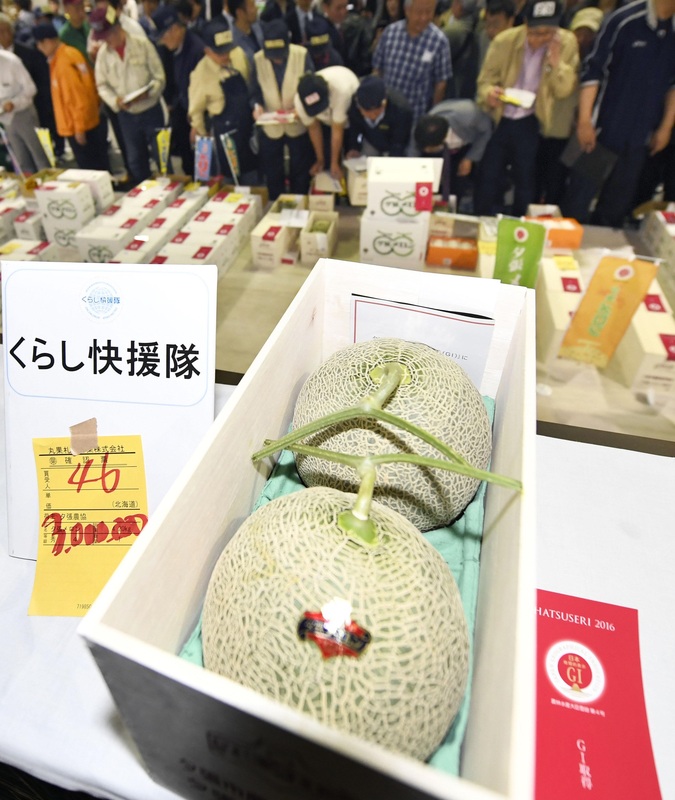 The previous highest winning bid price for a pair of Yubari melons, which are a type of premium cantaloupe, was ¥2.5 million, recorded in 2008 and 2014 at the Sapporo Central Wholesale Market. “I wanted to return a favor to the farmers of Yubari, who help us every year,” said successful bidder Takamaru Konishi, a buyer at a supermarket in Hyogo Prefecture. Takamaru said the melons will be displayed at the supermarket in Amagasaki and will be auctioned online later in the day. The agricultural cooperative in Yubari said 540 melons shipped from nine farmers were auctioned Thursday.